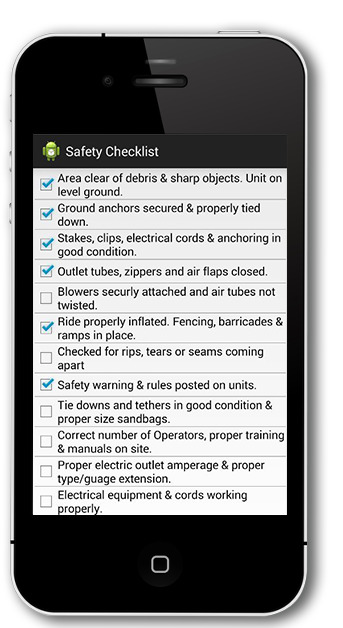 GO MOBILE WITH YOUR PARTY RENTAL SAFETY CHECKLISTS! Assign checklists to employees, store checklists and complete customer agreements all on one app! 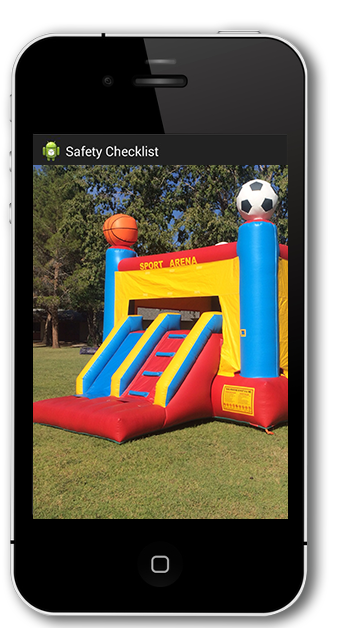 Photos taken during the checklist process will help to verify that the inflatable or device was set-up properly in the event of an incident. Employees will only see the checklists that they have been assigned & you will be able to keep track of which employees completed each checklist. Employees can get directions to the rental location or call the rental customer with the click of a button! Making sure your party rentals are set-up safely just got a whole lot easier! 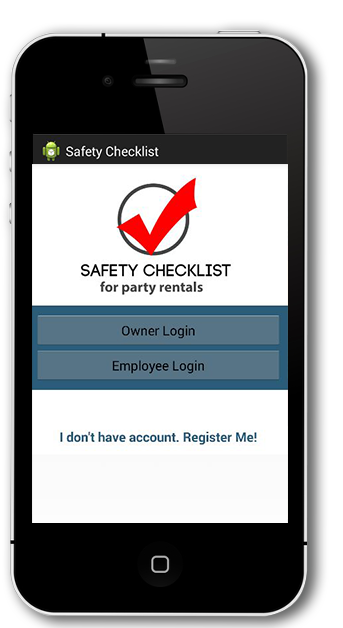 With the new Party Rental Checklist App from Cossio Insurance Agency you can easily document the set-up and safety of your party rentals. The best part is that this program is FREE for customers of the Cossio Insurance Agency! 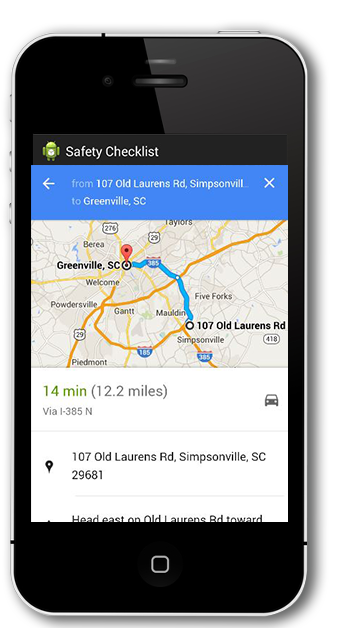 The app allows you to keep track of customer rentals, document proper set-up and even get directions to your rentals. For those that also own family entertainment centers, paintball fields or indoor inflatable centers we also have a free digital waiver program which is a great way to keep track of customer waivers.